Search Engine Optim­isation (SEO) is one of the most cost-effective ways to increase website traffic and boost your sales leads. Sadly, finding safe SEO ser­vices isn’t always easy. Too many “gurus” use quick-fix hacks to show fast results — then dis­appear when Google pen­alises your site. Others “guar­antee” you a first-page listing — but target keywords that few people search for. It takes skilled work and spe­cialist tools to find and compete for search terms that will deliver website vis­itors. It also takes years of exper­ience to dispel common SEO myths and provide safe, cost-effective, white-hat (ethical) search engine optim­isation solu­tions. So, that’s what you get with my flexible SEO Plans. Just saw that my site is now in 2nd place on the first page of Google. I’m not sure what you have done, nor do I under­stand it, but it worked! Many thanks! — Tim D.
Effective SEO often takes six months or more, but it delivers genuine “organic” search vis­itors act­ively seeking your ser­vices. Such vis­itors are far more likely to become cus­tomers than others. It also builds your brand, with benefits that tend to last far beyond your ori­ginal SEO cam­paign. By com­parison, paid traffic and traffic from ads also dries up as soon as you stop paying for it. That’s why SEO com­panies and con­sultants often charge £500+ a month for small business SEO. Good search pos­i­tioning for popular keywords can easily gen­erate a pos­itive ROI on that in most indus­tries. So, SEO is an investment, not a cost. E.g. Carol’s Salon in Cardiff makes £25 per appointment. Her average cus­tomer visits her once a month for two years. So, Carol’s average Cus­tomer Lifetime Value (CLV) is £600. An SEO plan that lands her just one extra cus­tomer a month will have more than paid for itself. Still, investing that much in SEO can be a leap of faith for smaller firms. I aim to provide safe, cost-effective SEO and digital mar­keting ser­vices for small busi­nesses in the UK*. So, I offer SEO cam­paigns from just £150 per month. 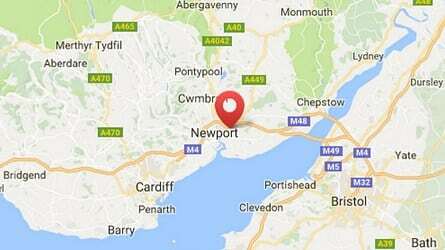 * Espe­cially, but not exclus­ively, to SMEs near Cardiff, Swansea, Newport, Bristol, Hereford and Gloucester. If you’re further afield though, I’ll still be happy to help. Local clients are the lifeblood of many SMEs in Wales and the Southwest. As a result, many think they don’t need SEO, because they rely on local advert­ising and word-of-mouth, but search engines advertise nationally, right? Not exactly. Google knows where your vis­itors live, and pro­motes ser­vices close to them. At least, it pro­motes firms that get their “Local SEO” factors right. That’s espe­cially true when vis­itors use “local searches” like “Web Design Newport” or “SEO Cardiff”. Such local searches provide valuable, tar­geted leads for firms who serve local clients. Those leads are more likely to convert than those searching for more general terms. As a result, tar­geted leads cost far less per sale than tra­di­tional broadcast mar­keting. Local Search Engine Optim­isation focuses on the factors that make local searches dif­ferent from more general ones. These include things like struc­tured data, reviews and the NAP cita­tions that search engines use to val­idate your business loc­ation. Really good local SEO can also get your site fea­tured prom­in­ently in Google’s “Local Pack” — the block of busi­nesses dis­played on a map at the top of some local searches. Even tiny dis­crep­ancies in NAP cita­tions matter and some ser­vices occa­sionally reformat listings, so it’s worth making sure they all stay in sync. This involves cre­ating and man­aging accounts across many dif­ferent ser­vices, which can get tricky unless you have the right tools. So, I offer Local Search Engine Optim­isation from just £150/month. Still not sure if you need help with Local SEO? Check out these 5 Signs You Need A Local SEO Expert. Some­times called “National SEO” to dis­tin­guish them from Local SEO (below), full SEO cam­paigns are really inter­na­tional. They focus on ranking for rel­evant search terms, rather than spe­cific geo­graphical areas. Full SEO cam­paigns take months of ongoing work. Every site has dif­ferent require­ments that evolve over time, as SEO guidelines and trending keywords change. Over time, stronger pos­i­tioning also let you target more com­pet­itive keywords and your com­pet­itors’ actions will affect tactics, too. Effective SEO cam­paigns need to adapt to these varying con­di­tions, so it doesn’t help to limit SEO packages to X keywords or Y pages. Instead, you need a bespoke SEO strategy that mon­itors rel­evant changes and evolves to build your business. It’s hard to beat com­pet­itors who do all this — espe­cially if they have a head start. The good news for small busi­nesses in Wales and the Southwest is that many still don’t. I can offer National SEO Packages from just £350/month, so get started before your com­pet­itors do! Want to learn more about promoting your site on search engines? Do you need Local SEO or National SEO?